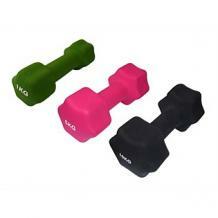 Perfect for home use or in a commercial gym setting. Provide extra resistance while walking or jogging and in an aerobic class. Covered with a thick layer of neoprene that provides a smooth, comfortable grip.